“NO SALADS!” screams the sign on the wall. “MIX DRINKS NOT MORALS” yells another sign behind the bar. And with that, the tone is set for a meal at Doomie’s, a no-meat fast food joint in Parkdale that is as forceful about what’s on its menu as what’s not. Doomie’s is part of a trend in Toronto that’s seen veganism take an abrasive turn, with so-called “extreme vegan” cooks pushing in-your-face ethics, making the case that not eating animals is a morally superior lifestyle. And to even the chef’s surprise, the vegan-or-nothing attitude is not putting off restaurant goers. In fact, judging by the lineups, it’s attracting them. “I want someone who isn’t vegan to say, ‘That’s a good burger,’ not ‘That’s a good vegan burger,” Chef Doomie says. Jeff Merkel wears combat boots in his food-truck — not traditional combat boots, though. They’re vegan combat boots with not a stitch of leather to be found on them. Merkel says his truck will be Toronto’s first all-vegan mobile restaurant when he gets his mobile food license, which he hopes will happen in June. The non-leather boots and his vegan cooking symbolize Merkel’s attitude toward food: he is a self-described vegan extremist, an avowed enemy of meat-eating. And fittingly, he’s called his food truck The Vegan Extremist. Merkel only had a brief restaurant career before launching his food truck. He was working in the kitchen of a gastropub, surrounded by meat. “It was gross. Brisket, hamburgers. I couldn’t be there,” he said. The 24-year-old has always been vegan, but he was also always careful about leaving meat-eaters alone. That is, until recently. “Vegans have the reputation of being in other people’s business telling them what to eat,” he said. Because of that reputation, he was often criticized for trying to push his food choices on others, even when he wasn’t. Merkel specializes in South Asian-style curries, minus any animal products. He makes chana masala, baingan bharta, Thai yellow curry, samosas, paratha bread, rice and desserts. When he started, he figured he’d anger some people. Meat-eaters can be defensive, he agreed. “We did,” said Chef Doomie. The name Chef Doomie is an alter-ego, and he would not reveal his real name or any personal details for this article. He got the idea for his namesake restaurant in Los Angeles. “I have always been in relationships with vegetarians and vegans, and when we would go out to restaurants, I was always disappointed. The restaurants were horrible to me,” he said. Doomie decided to open up Doomie’s, an all-vegan option in the Hollywood neighbourhood of Los Angeles. It mimics more traditional fast food, with triple-decker burgers flooded with special sauce, messy Philly cheese steaks, thick boozy milkshakes and huge portions of all of the above. Doomie’s restaurant expanded to Toronto this spring, but in this city, the restaurant is more evangelical about veganism. That partially explains the ‘no salad’ rule. As Chef Doomie explains it, there are two types of vegans: the people who do not eat animal products to be healthy, and those who make the ethical choice not to slaughter animals for food. There are more ethical vegans than health-based ones, said Chef Doomie, and they don’t necessarily want salads. They too crave junk food. “The way I see it, the standard of vegan restaurants in the past is that vegans will come eat anything. They don’t have options. 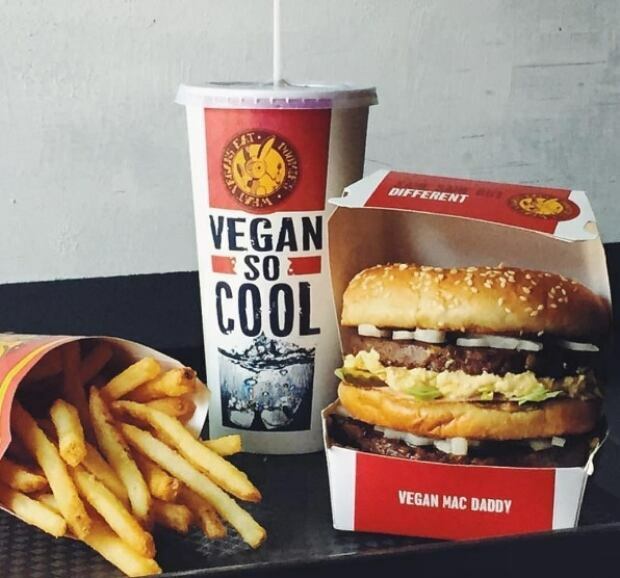 So if you have mediocre vegan food, they’re going to come eat it,” he said. Both the Vegan Extremist and Doomie’s are selling the idea of a slaughter-free future as much as they are vegan food. Merkel said most of society believes vegans “have long hair, wear purple tied-dye shirts and live at peace in the woods.” If that was ever a reality, it’s not any more, he said. 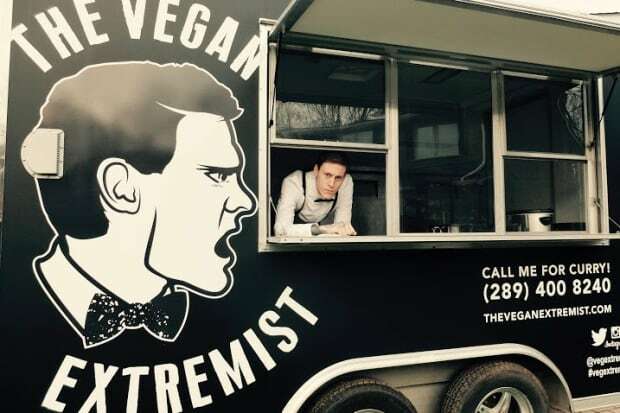 So far, his plant-based menu and “extremist” take has received only positive reactions, with an unexpected number of people stopping to take selfies with him and his truck. 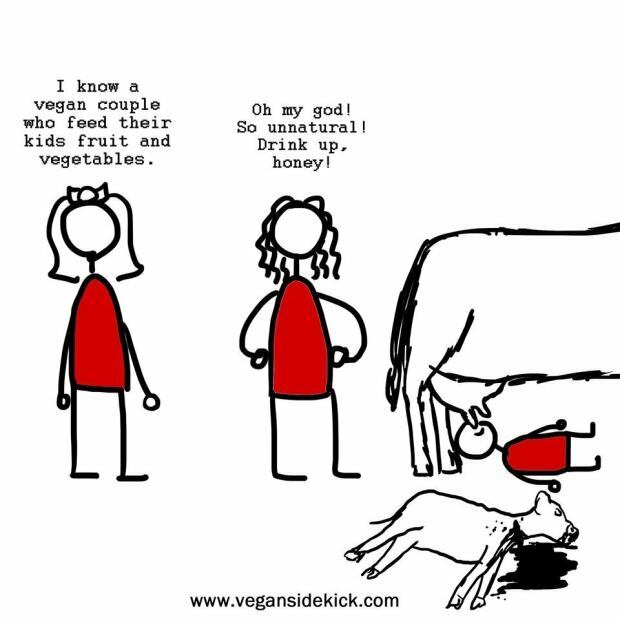 At Doomie’s, there’s a similar, if more on-trend, message about veganism. Just open up Snapchat while in the restaurant and check out the custom Doomie’s filter. Or go downstairs to what the restaurant calls “the world’s first vegan selfie room,” where diners can photograph themselves next to vegan cartoons by the famous illustrator Richard Watts, the Vegan Sidekick. It’s all an effort to stop the killing of animals.